A large and powerful display unit with vibrant dye sublimated printed graphics, this snake banner is bound to draw attention. Our FLEXi Snake Banner is a large and powerful display unit with vibrant dye sublimated printed graphics that simply stretch over the aluminium frame. The click together aluminium frame is lightweight and is quick and simple to assemble. 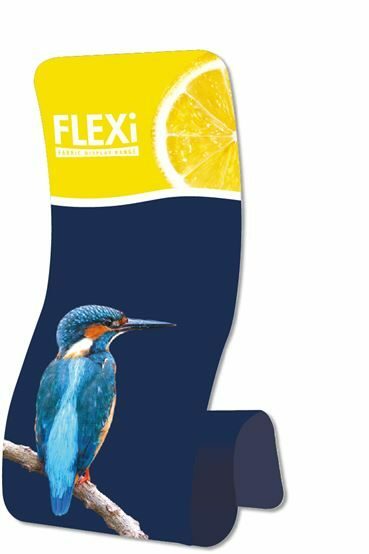 Give your FLEXi Snake Display maximum impact by placing it with other FLEXi Fabric Display products we have in the collection.